Created in 1953, the International Forum (iF) Design Award is recognised as one of the most prestigious awards for innovative industrial product design excellence. Products are evaluated based on a wide range of criteria, including factors such as practicability, workmanship, consideration of environmental standards, degree of elaboration and innovation, functionality, usability, safety, aesthetics, and universal design. 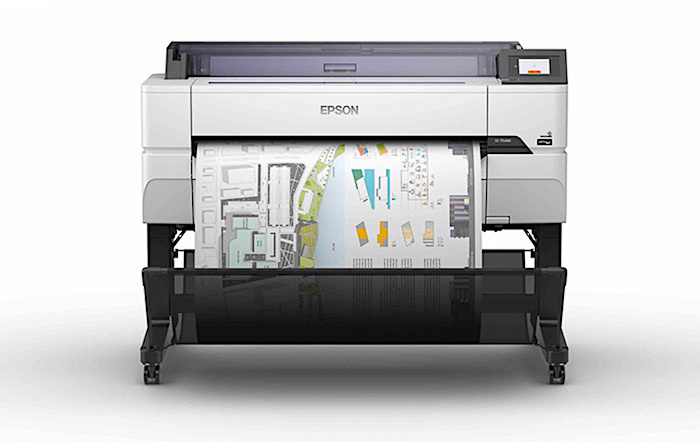 In a statement announcing the awards, Epson described the series as “high-speed, high-resolution large format printer (LFP) for printing drawings in official bureaus and architect studios or PoP printing in retail shops”. Canon syas they redesigned the LFP, conventionally used for special applications, with UI identical to business printers and a simple and clean look that fits any office. This entry was posted on Friday, March 15th, 2019 at 9:35 am	and is filed under Epson, printer, wideformat. "New Flatbed Printers From Ricoh"